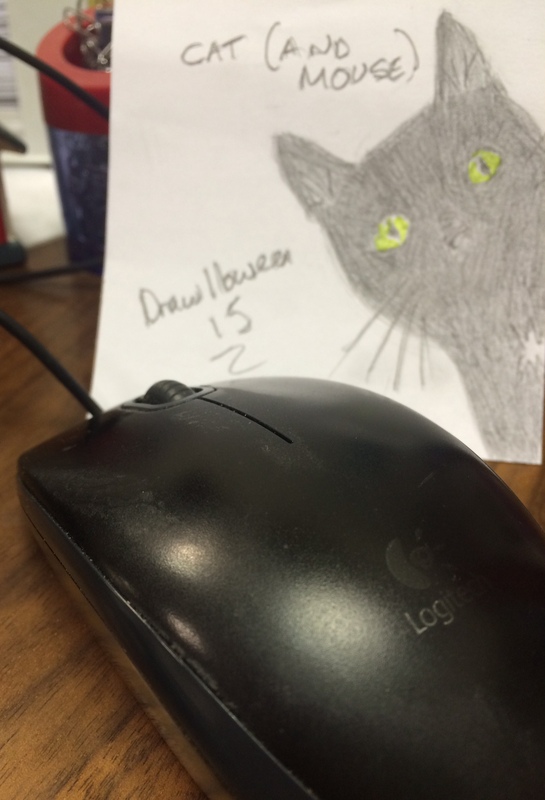 Today is day 31 of Drawlloween – a fun event that I found out about here on the lovely ‘Not Yet Read’. Today is the final day – Dragon!!. 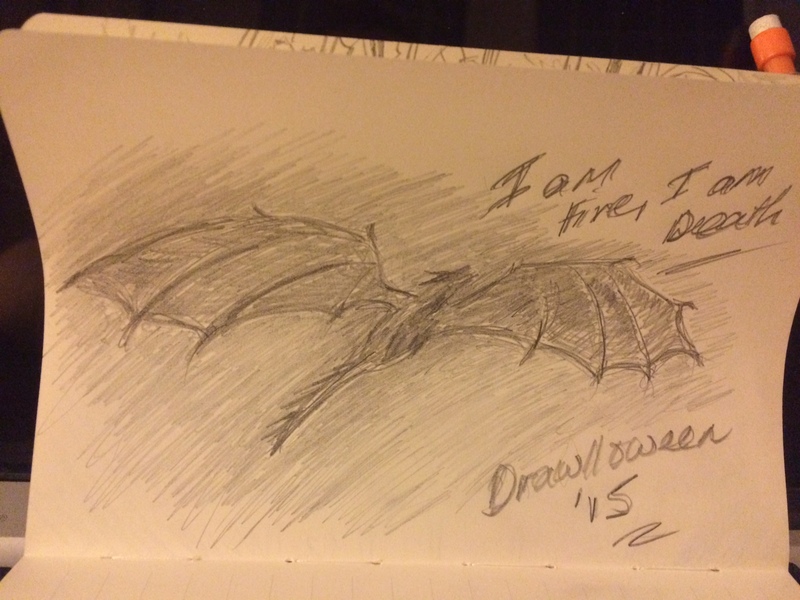 So, I thought, I’m going to spend ages drawing a dragon, Smaug, and then I thought maybe not! Maybe I’ll do a quick sketch instead. Anyway, I’ve really enjoyed this event – but, will just apologise now for inflicting my nonsense upon you all! 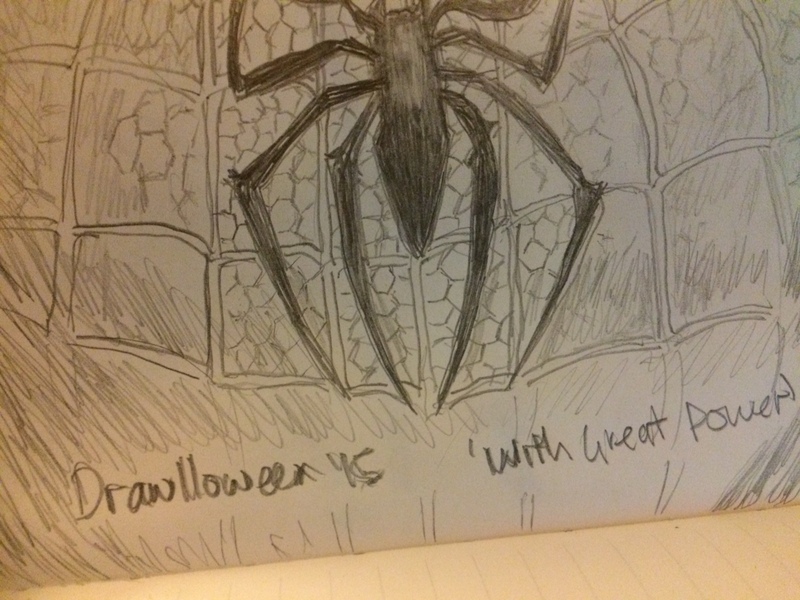 Today is day 29 of Drawlloween – a fun event that I found out about here on the lovely ‘Not Yet Read’. Today is Scarecrow. I was going for something creepy…so don’t laugh.. or maybe do! 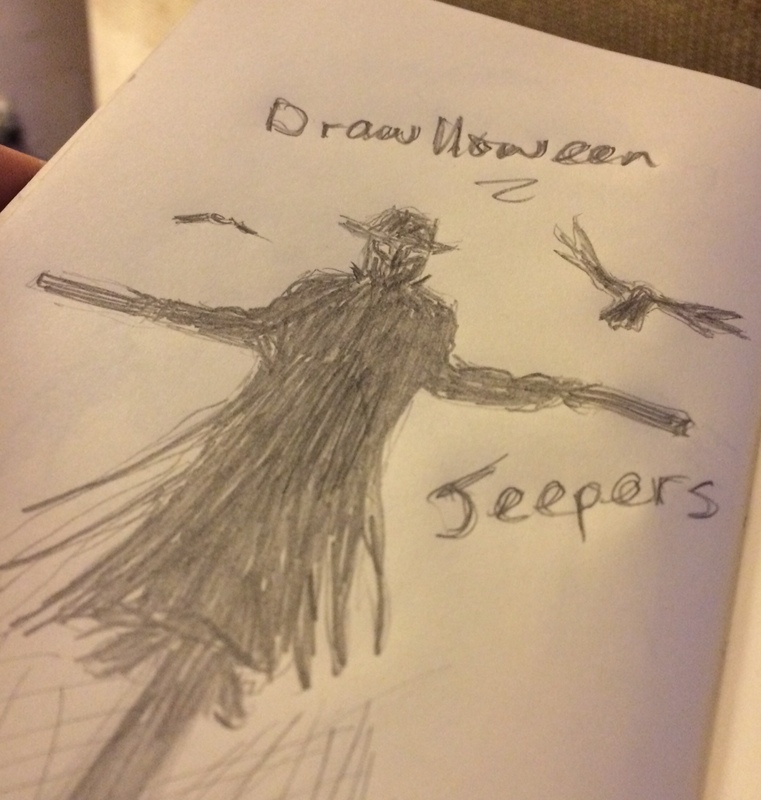 Today is day 27 of Drawlloween – a fun event that I found out about here on the lovely ‘Not Yet Read’. Today is Witch. 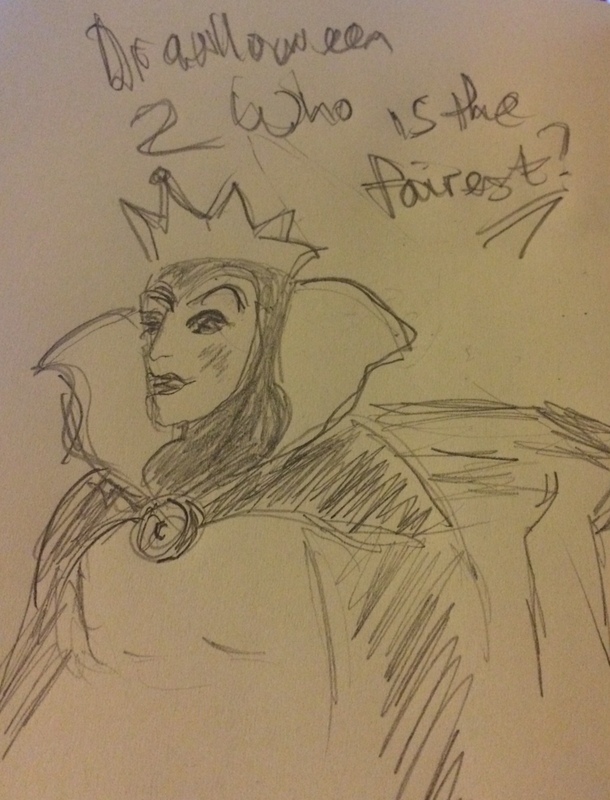 Here is my witch – mirror, mirror on the wall….